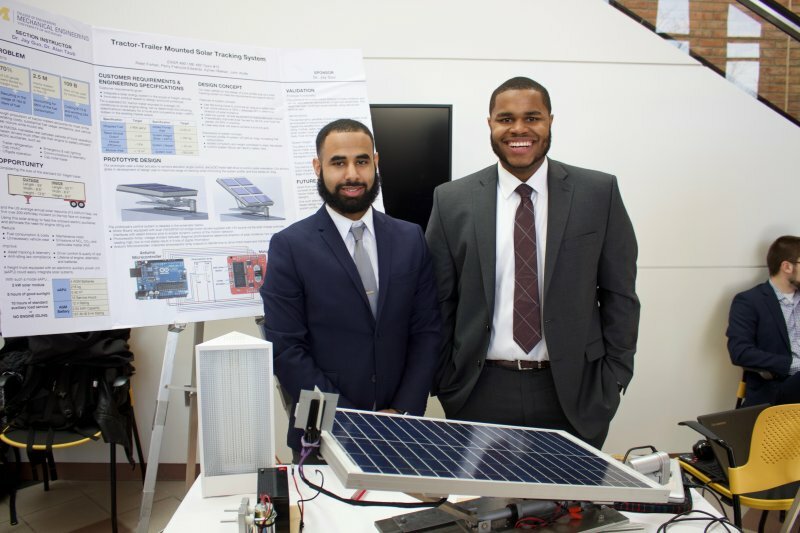 See how Michigan Engineering students are designing solutions to our world's challenges. 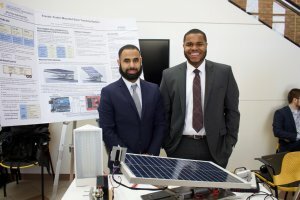 The College of Engineering Design Expo is held twice a year to provide a public forum for engineering students to demonstrate applications of their studies to real-life needs. Students gain valuable experience by presenting their work. Through this venue, the greater University community and general public has the opportunity to learn how Michigan's students are contributing in significant ways to solving major technology challenges across various disciplines. These student projects consist of internal University of Michigan projects, non-profit community projects, and industry-sponsored projects. Many of these projects are part of Senior Design Project Courses, but other project groups are welcome and encouraged to participate. Student groups that would like to present must register for a first-come, first-served spot by November 1st. This event is held in multiple North Campus locations including the Duderstadt Center, Bob & Betty Beyster Building, Pierpont Commons, EECS Building, G.G. Brown Building, and Chrysler Center. For more information, contact Lindsey Dowswell in the Multidisciplinary Design Program office at lindsd@umich.edu or (734) 763-0818.